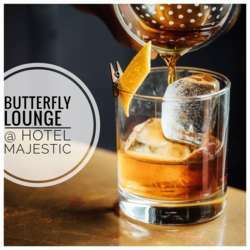 Join Alexandra, Conyee, and I for a Saturday Happy Hour at the elegant Hotel Majestic Butterfly Lounge, a refined yet casual bar that has been a staple in SF since the early 1900s. With a mix of business suits and hipsters, friendly staff, moderate prices, and signature cocktails, The Butterfly Lounge is the perfect place to network with friends and other expats. So, don't miss this opportunity to meet friends and mingle with other expats and global minds from all over the world! As always, Alexandra, Conyee, and I look forward to seeing you on Saturday, 16 March!